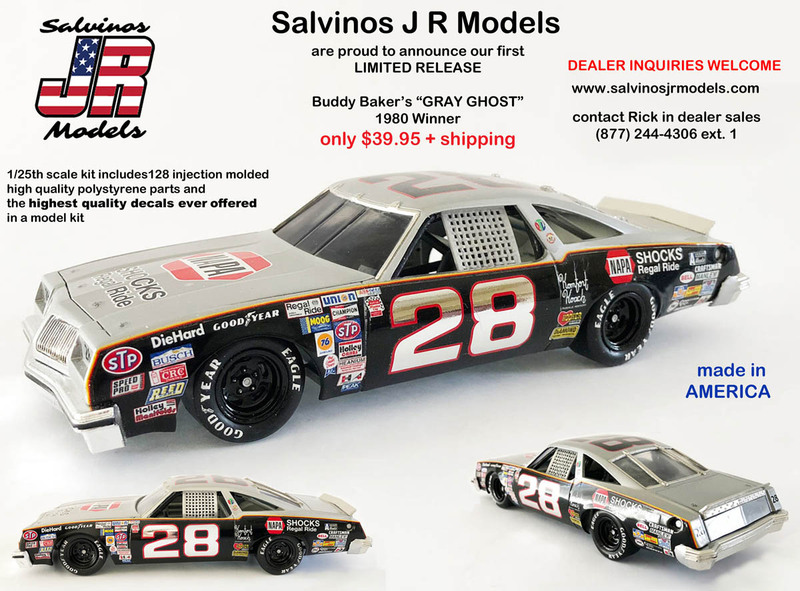 Salvinos J R Models is a new model car kit manufacturer, and they are located in the good ol’ U.S. of A. 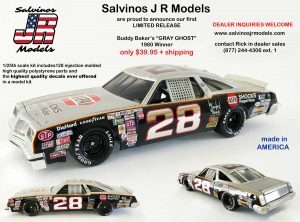 Their first model is Buddy Baker’s 1980 Oldsmobile NASCAR stock car. The kit is produced in southern California with decals from Cartograph. Click on the picture below for more info.